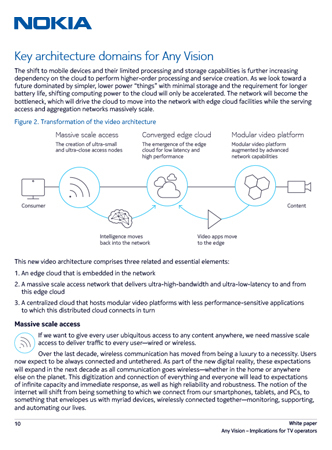 A highly personalized future of television is coming with significant implications for operators. Driven by innovative new technologies, the television and video industry is on the cusp of a remarkable paradigm shift. 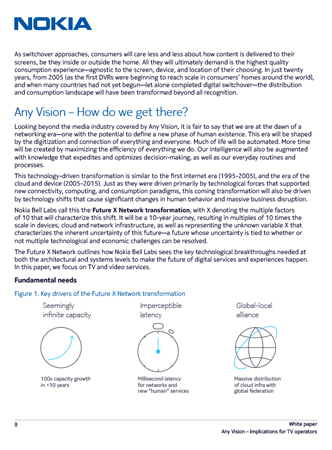 Nokia is predicting a massive transformation that will take us from television of today to Any Vision in about a decade. 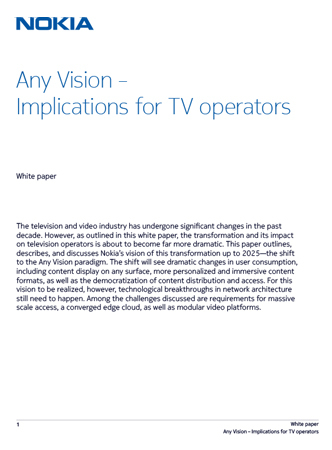 Sweeping in its implications, Any Vision flags both opportunities and major challenges for TV operators. 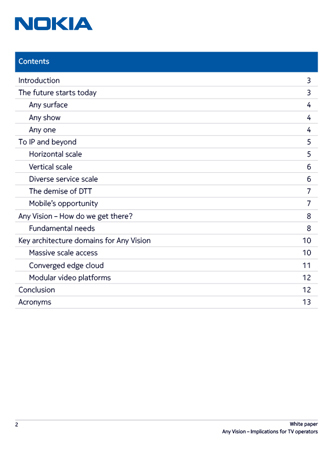 This paper shows that by embracing the many changes anticipated; and making the right decisions now, operators can be ready to reap the significant benefits of the Any Vision world.